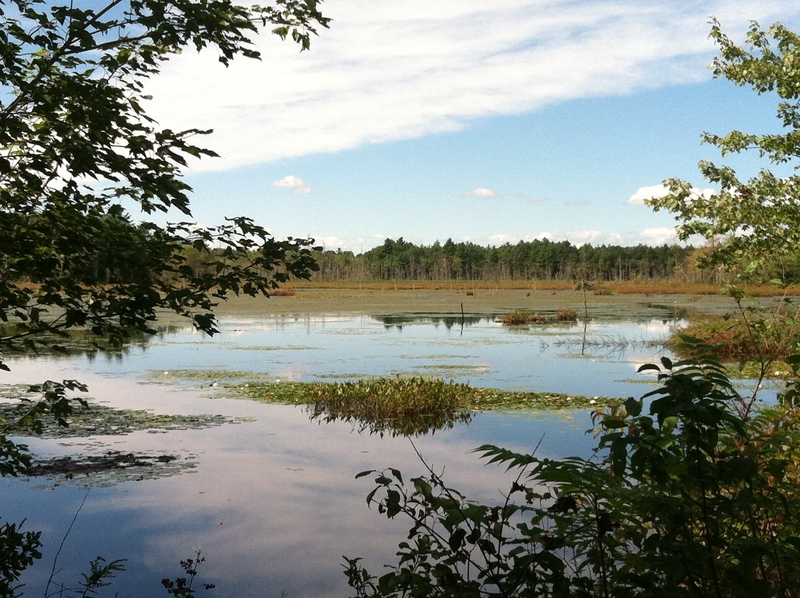 Acquisition History: Deer Hill Wildlife Management Area was purchased by the New Hampshire Department of Transportation in the early 1990s to create a wetlands mitigation site for impacts associated with the expansion of Route 101. The property was transferred to Fish and Game in 2009. Description: Prior to acquisition by DOT, the property was an active gravel pit. The pits were reclaimed and made into wetlands that have developed into a mix of open water, scrub-shrub, and emergent marshes that provide habitat for a variety of reptiles, amphibians, and waterfowl. 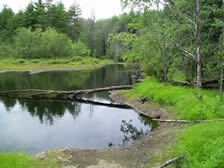 The property also contains several areas of grassland, shrubland, and young aspen/birch. The remaining lands are comprised of hemlock, pine, or aspen woodlands that provide cover for a variety of upland species. 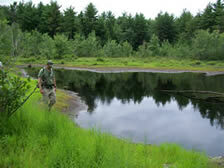 Fish and Game will manage the area to maintain the diversity of habitats to support a wide array of species. Common Wildlife: Deer Hill is an excellent place to spot the state-endangered pied-billed grebe and a variety of waterfowl, especially during migration. Other potential bird species include least bitterns, great blue herons, and a wide variety of songbirds, especially those found in shrublands and young forests. 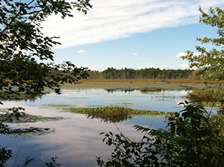 NH Audubon has designated Deer Hill WMA as an Important Bird Area. Eastern painted turtles, snapping turtles and the familiar garter snake are also common. 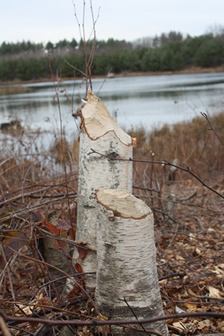 Sign of deer, muskrat, beaver, and other mammals are likely to be found if you know where to look. 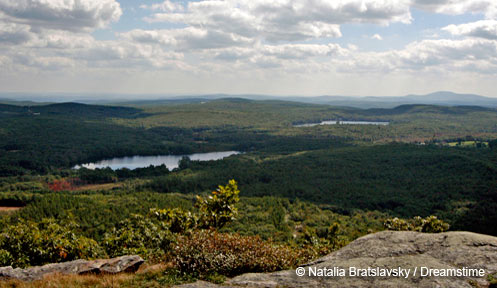 Directions: Deer Hill WMA can be accessed from Pine Road, south of Route 27. Go under Route 101, just past Seacoast Lumber, watch for a gate on the right. Parking is road side.